We are excited to announce our free workshops for 2019. 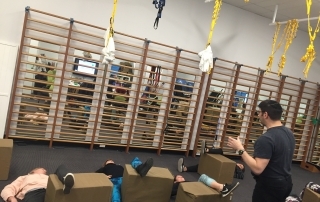 They include practical components as well as question time with our physios, and are suitable for all ages and abilities. Our most popular workshop is scheduled again in 2019! Learn about back pain and posture with our team of experienced physios. 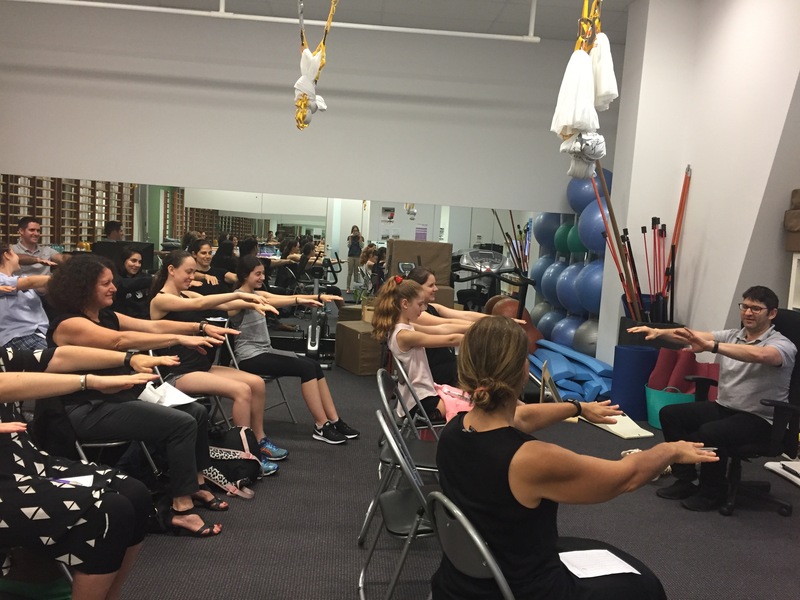 You’ll be shown how to maintain your posture and keep your spine healthy. Including an update by Larry and Shana-Lee of the latest research from the Spine Society of Australia 30th Annual Scientific Meeting. Learn about the role of a new model of back pain care; called Cognitive Functional Therapy. Learn about scoliosis detection and management during Scoliosis Awareness Month. We will provide an overview of the latest research concerning the non-operative and post-operative care of scoliosis and spine deformity. 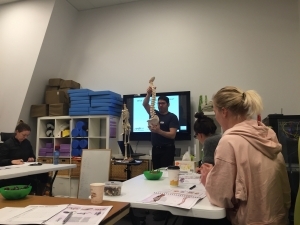 Larry and Shana-Lee specialise in managing scoliosis and spine deformity through physiotherapy utilising the Schroth method. 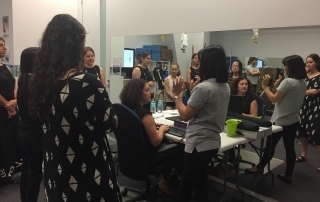 Patients from interstate and overseas regularly visit UprightCare for advice on scoliosis management. Larry is on the board of SOSORT (Society on Scoliosis Orthopaedic and Rehabilitation Treatment). Click here to learn more about scoliosis. 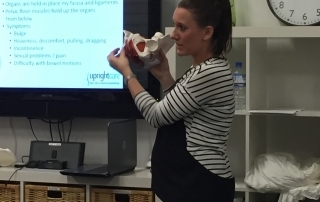 We are excited to support Women’s Health Week by running a free workshop on the Ins and Outs of the Pelvic Floor. This workshop will be run by our wonderful women’s health physiotherapist Shana-Lee Abkin and is suitable for women of all ages. 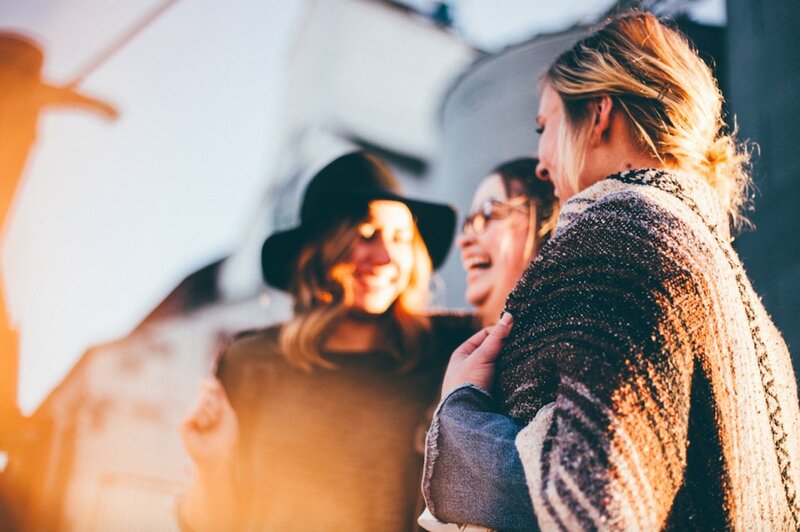 Shana-Lee will explain how the pelvic floor works and how we can help common issues like incontinence, weak and overactive pelvic floor, and how to keep your pelvic floor healthy. Bookings open now! Our previous workshop on this topic was completely booked out so get in quick! 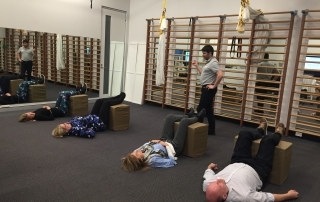 Academics and clinicians from around the world are investigating the effectiveness of body awareness therapies on chronic pain and are providing interesting results. Discover what the research says and some easy tips that may help ease your pain. 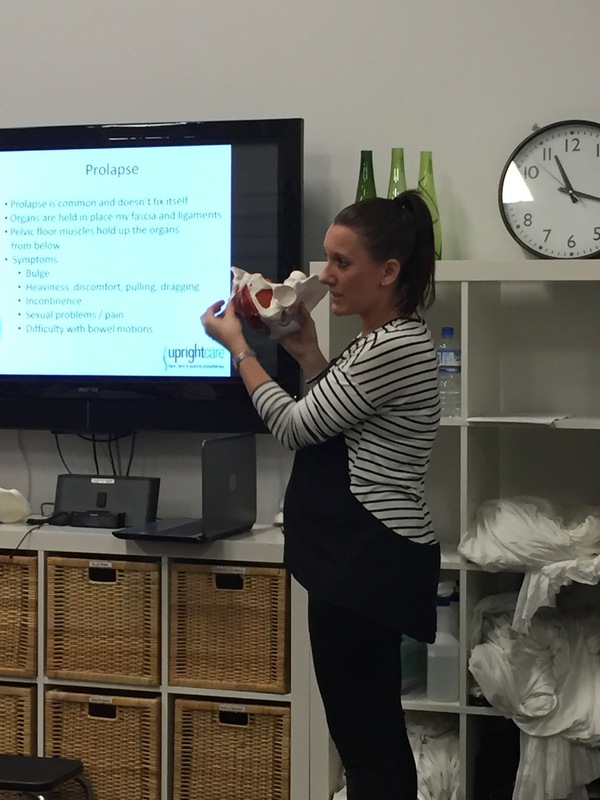 Check out our past workshops below. Tuesday 10th April 2018, 6-7pm. We are really excited to kick off our series of free community workshops this year on the topic of RUNNING. We get a huge amount of questions from patients about running and we would love to give our community access to the latest research and thoughts about the art of running. We are thrilled to announce Keith Bateman Coaching will be our guest speaker discussing running technique at our upcoming running workshop. 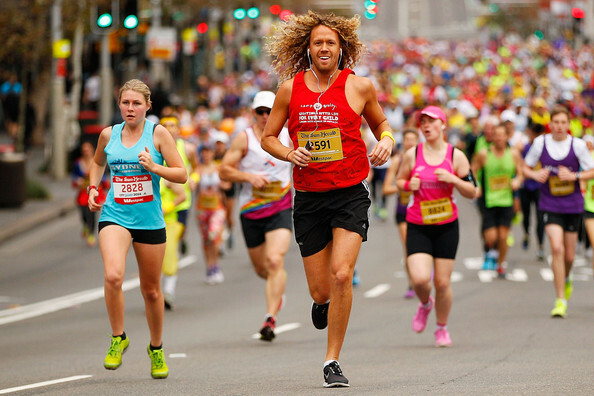 Keith is a competitive Masters runner based in Sydney whos experience includes many years of sports teaching, and training with some of Australia’s best athletes plus racing at State, National and International competitions. This workshop is for beginners, regular runners, and those with substantial running experience. Tuesday 22nd May 2018, 6-7pm. Do you exercise right? This is the number one question we are being encouraged to ask ourselves during the upcoming National Exercise Right Week. To help you answer this question we are hosting a free community workshop on how to exercise right when you have pain and injuries. When our patients come into the clinic we often hear how they have stopped all exercise completely as a result of their pain or injury. 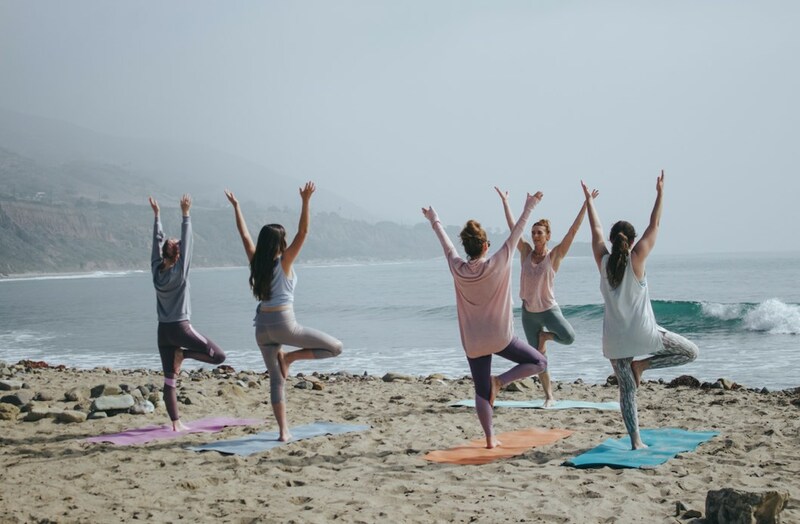 Whilst this is sometimes necessary, recent studies have shown that exercise is a wonderful way to promote healing throughout the body. But we don’t want you to overdo it! So what is the right amount of exercise and what kinds of exercise should we do when injured and in pain? – A recap of current research into how the body heals after injuries and how exercise can play a role. 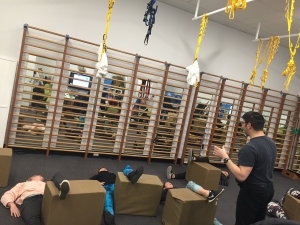 – Learning about how to tune into your body and discovering when pain is harmful during exercise, and when it can be helpful in identifying how we should move our body. – Simple and practical exercises, stretches and tips: to get you moving, back on your feet and back to the types of exercise that you enjoy. – Question time with our physios. This workshop is for all ages and abilities. Tuesday 16th October 2018, 6-7pm. World Osteoporosis Day is coming up on Saturday 20th October and to celebrate we are running a free community health workshop. 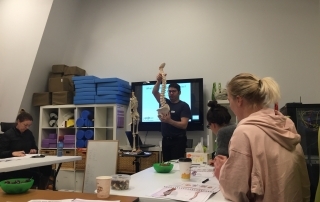 Our physios are presenting on osteoporosis, bone health, and back pain, and what you can do for prevention and management. 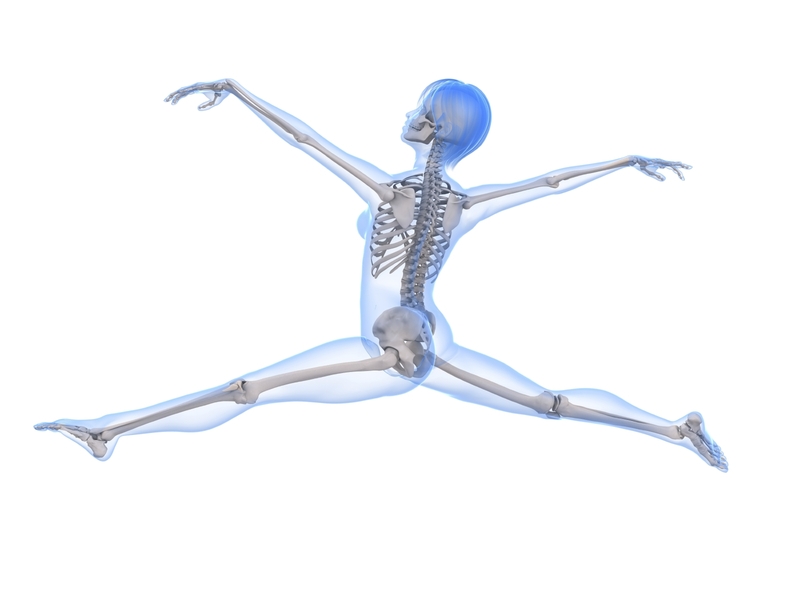 Can osteoporosis and fractures be prevented? Yes, if action is taken early! Come along to our workshop to learn more. 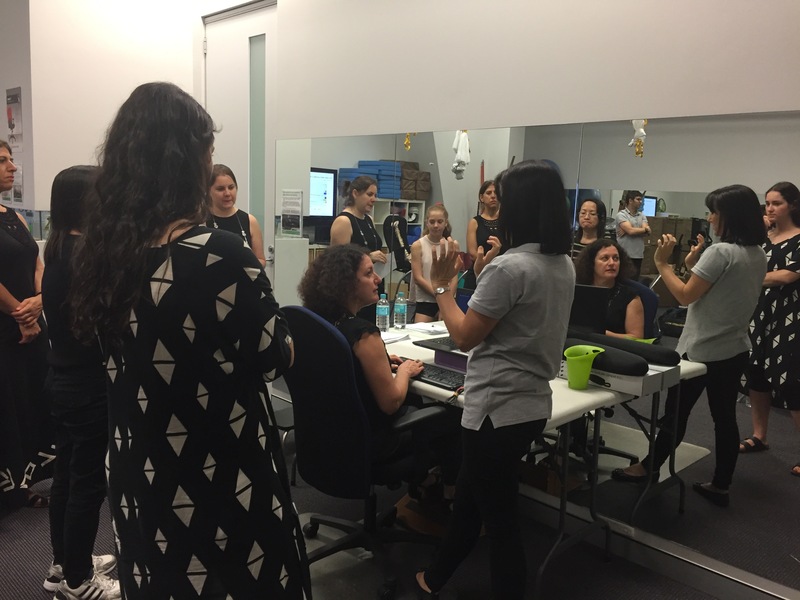 Where: UprightCare clinic, Suite 8, level 1, 97 Grafton Street, Bondi Junction (in the Meriton Suites). Bookings are essential! Our last workshop was booked out so remember to RSVP as soon as possible! 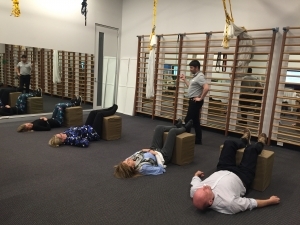 Check out some of our photos below from past workshops on topics such as Yoga for Back Pain, Pelvic Floor Health, Osteoporosis and Bone Health, Posture and Ergonomics, Healthy Spines and Back Pain.